“How I Came To Understand That Fighting The Power Was Useless. 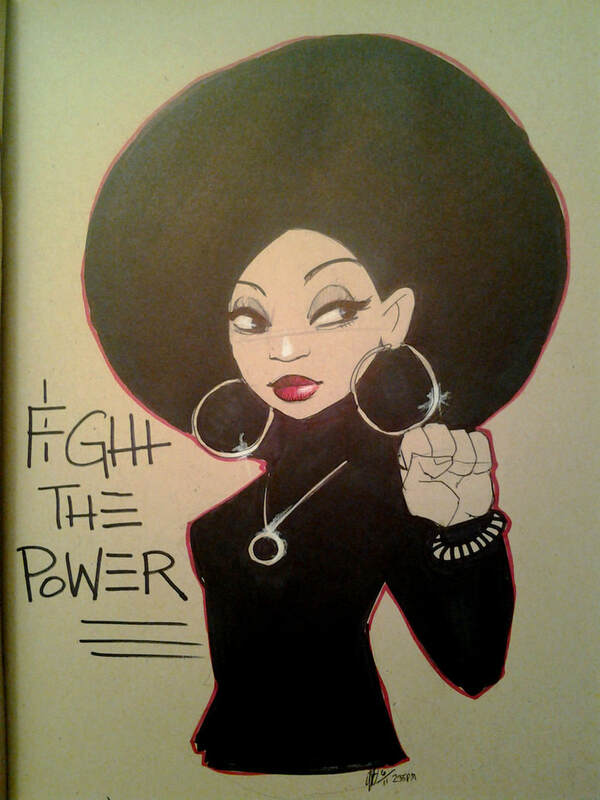 Unless...You Fight The Power By Giving Power to The Power To Fight The Power"
I get dozens of newspapers and news outlets from around the world daily, in the form of news feeds. They run the gamut, politically speaking; liberal, libertarian, and conservative. One of those news sources is PBS. PBS no longer even tries to create the illusion of political objectivity. In fact, they openly celebrate Democrat political victories like cheerleaders celebrating a touchdown for their favorite team. They’ve become advocates, which isn’t really new, any more than it is with America’s two largest newspapers The New York Times and The Washington Post. These two media giants shape politics in America, with just about every other media outlet following their lead. The New York Times is substantially owned by the former “World’s richest man” Carlos Slim, a Mexican national, who is currently the 7th richest man in the world, with a net worth of $67 billion. The Washington Post is owned by the richest man in the world, Jeff Bezos, who has a net worth of $137 billion. They are the little guys fighting “The Power,” of evil Donald Trump and his band of Deplorables. Reality almost never bears any resemblance to the fictional universe of The Corporate Media. Just watch poor Mexicans yelling “Go home!” to the thousands of poor Central Americans who arrived on their doorstep. They’re not cheering on the caravan of migrants. Because they know that what little they have, will diminish even further if Mexico takes in more poor people. Mexico has the 15th largest economy on earth. But you’d never know it by watching millions of desperately poor Mexicans attempt to pour over our borders. To say nothing of poor Central Americans moving thru Mexico, with both groups making their way to the U.S... The wealth of a nation doesn’t trickle down very easily, if countries can radically increase their labor pool, adding millions of nominally educated people, all competing for low wage, low skill jobs. Factor in all the jobs moving offshore, based on dirt cheap labor, and the whole world becomes one big labor pool for Mr. Carlos Slim and Jeff Bezos. That’s the problem of open borders and unfettered globalism. Fair trade is one thing. Legal immigration, likewise, is perfectly fine. But that’s not what’s being advocated anymore. Not even close. These individuals and corporate elites are the fattest of the world’s fat-cats. They are the real oligarchs. Not Donald Trump. Certainly not his Deplorables. It’s David and Goliath all over again, with more than a fair portion of the world valiantly cheering on the heavily armored Philistine giant, Goliath, as he faces a pint-sized David with a homemade slingshot. Hell! All you have to do is look at who has all the money, who controls virtually all of the media, who is firmly entrenched in the vast political machinery around the world, even beyond U.S. boundaries—and liberals think they’re fighting the power??? The word “Fiction,” doesn’t begin to define what we’re seeing. I can only shake my head in wonder.